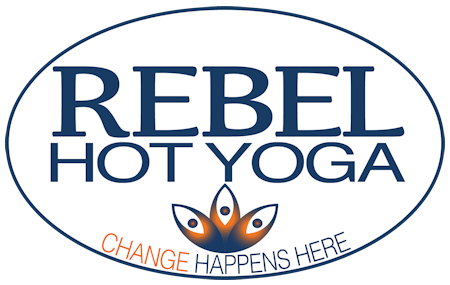 Welcome to Rebel Hot Yoga! We create change. That’s what rebels do. We take action and rise up. Want to get stronger? Want to feel better? Want to be happier? Are you willing to show up and put in the work? If so, and you’re ready to create epic change for yourself, click here. If not, that’s ok too. This is not for you. You’re just not ready yet. But if it ever gets so bad that you can’t run anymore, or pick up your children anymore, or take all the f@&king stress anymore… we are here, ready to help. It’s just $30 for your first month of unlimited classes with us. You get 2 buddy passes and a mat and towel for your first class! *For local residents and new students only. The combination of Bikram Yoga and Inferno Pilates has proven to be the fast track to fitness and wellness. We are a state of the art, handicapped accessible studio and all of our classes are available to any level of ability. Or just keep sitting at your desk complaining about your back pain. It’s your choice. Our classes are designed for you to maximize your benefits. What we do works. And we are experts at it.